American Septic Service is a proud distributor for Highland Tank/Lowe Engineering. The GreaseStopper™ Automatic Grease Interceptor is designed to intercept and remove large quantities of fats, oils and grease (FOG) discharged from food service facilites and large commerical/institutional kitchens. This unit is compliant with the State of Connecticut's General Permit. The GreaseStopper™ is relatively small, allowing it to be installed under a sink or other limited space. It removes and recovers nearly 100% of FOG from kitchen and food processing drains. With it's new digital technology, grease is removed automatically on a pre-programmed, timed basis. In order to determine the right size unit for your establishment, give us a call. Grease traps/interceptors can cause major problems for restaurants when they are not cleaned on a regular basis. Some problems that can occur are odor, back-ups inside and outside of the premises and the costly blockage of municipal sewer lines. In order to prevent these problems, we schedule regular cleanings of the trap/interceptor. For your convenience, we can place you on our automatic scheduler, relieving you of having to keep track of your cleanings. Our grease service truck is able to access loading docks but is designed to service jobs of all sizes. It is equipped with our Compact Conde Unit, snake and jetting equipment. It has all the tools to get the job done right. For cleaning interior traps, we use our Compact Conde Unit, which vacuums grease into a sealed holding tank. This unit fits through standard doorways and minimizes the odor and mess usually associated with cleanings. Collection barrels are provided free of charge to our customers. Exterior grease tanks are cleaned using our 4500 gallon pump truck. 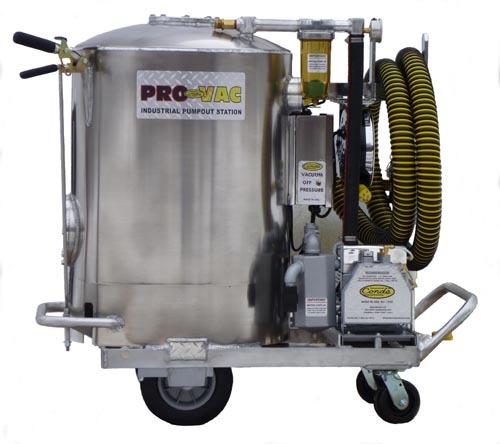 This truck, able to clean large tanks in one visit, makes tank cleanings quick and efficient. Emergency service is just a phone call away. Whether you have an interior grease trap or exterior tank, American Septic Service will professionally take care of your businesss needs. Phone us with any questions you may have regarding cost or scheduling.